Peppa Pig Muddy Puddles Jumbo Jet from Character Toys is a fabulous new addition to the Peppa Pig toy range that I’m sure any little Peppa Pig fan will love. Mister B’s eyes lit up when he saw the Peppa Pig Jumbo Jet, he’s never forgiven me for getting rid of Miss M’s Peppa Pig toys earlier this year and is constantly asking when they are coming back as he wants to play with them! I knew the Jumbo Jet would be perfect for him as he loves planes and doesn’t have anything like this, he has a great imagination for play and I knew this would suit him perfectly. 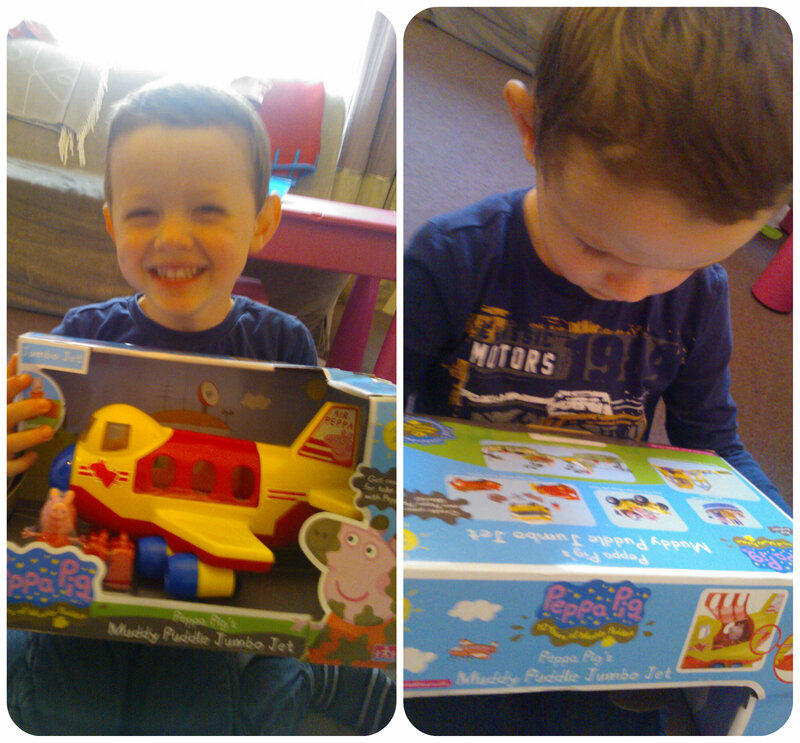 He enjoyed studying the back of the box to tell me what other Peppa Pig toys he would like! The Peppa Pig Jumbo Jet is a very sturdy, durable toy that will withstand plenty of play. It comes with one Peppa Pig figure and two plastic suitcases. The plane has an opening side door with three seats inside, perfect if you have additional figures to fly away with Peppa. The luggage compartment and the back also opens up to put the suitcases in or any other luggage items you wish to pack. 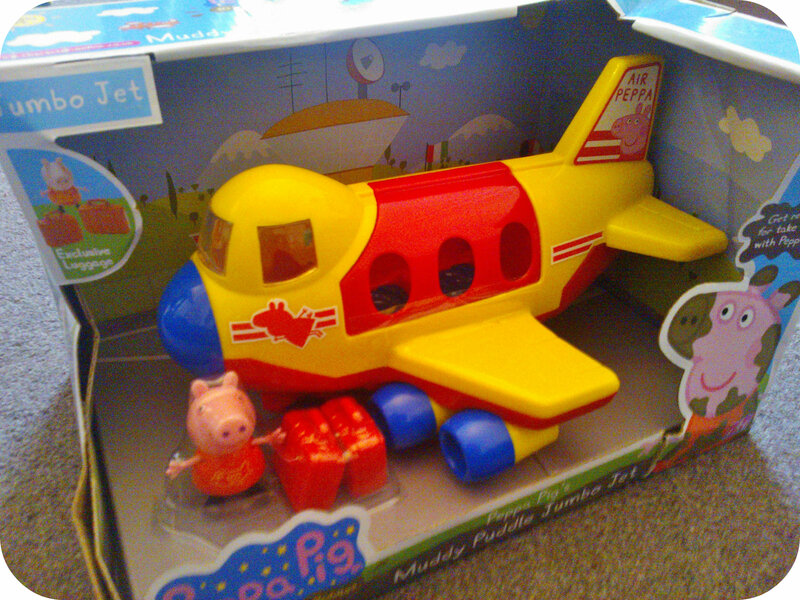 The only issue I had was that Mister B got a little frustrated trying to get Peppa into the front seat of the plane without her tipping over, I agree it was a little awkward to get her in there but he soon moved on to some imaginative plane play! The wheels are free wheeling underneath to really help with play although Mister B tended to have the plane flying through the sky once his passengers had boarded. It is the perfect size for lifting, not to big or heavy and he loved making his plane sounds to go along with the flying! 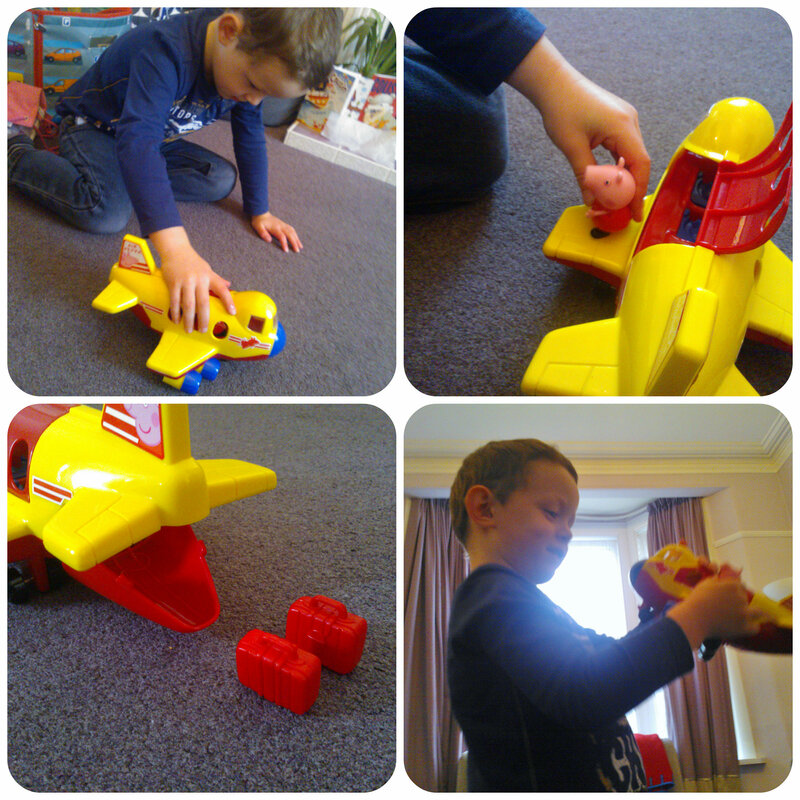 The Peppa Pig Jumbo Jet has been a hit with us and provided lots of fun play. It easily fits in with other toys for extended play value therefore I’d recommend it for any little Peppa Pig fan! All reviews are my own and my family’s opinions and we received the toy in order to write the review. 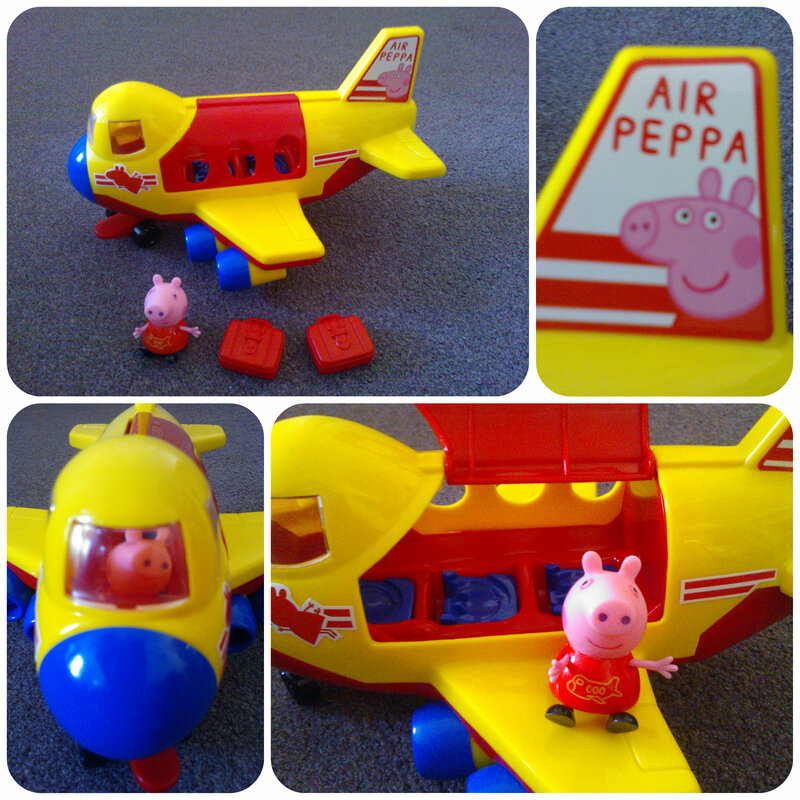 This entry was posted in Reviews and tagged character, jumbo jet, Peppa Pig, plane, toys by Fiona Martin. Bookmark the permalink. The jumbo jet look so cute! My daughter love peppa pig playset! They are fab! Great for Christmas presents! He looks so happy with it! My daughter would absolutely love this! I didn’t know Peppa Pig had a jumbo jet. It looks great.